As we make our way through fall, I thought I would highlight a few of the things I have been enjoying lately. Besides making apple crisp every weekend and binge watching Season 3 of Poldark. Playa is a new botanical based haircare line. I am completely obsessed! I have the Everyday Shampoo and Supernatural Conditioner in my shower and after I use them my hair feels so lovely, never over-stripped, and shiniest it has ever been. The products are made from coconut derived ingredients and have a natural, very soft sweet and fresh scent. My sister happened to use them and said “what’s this Playa line? My hair feels amazing!” I also used the Endless Summer Spray for a day by the pool this last weekend for easy beach waves. I am excited to see what this brand has in store and I am adding their dry shampoo and oil to my list to try next! 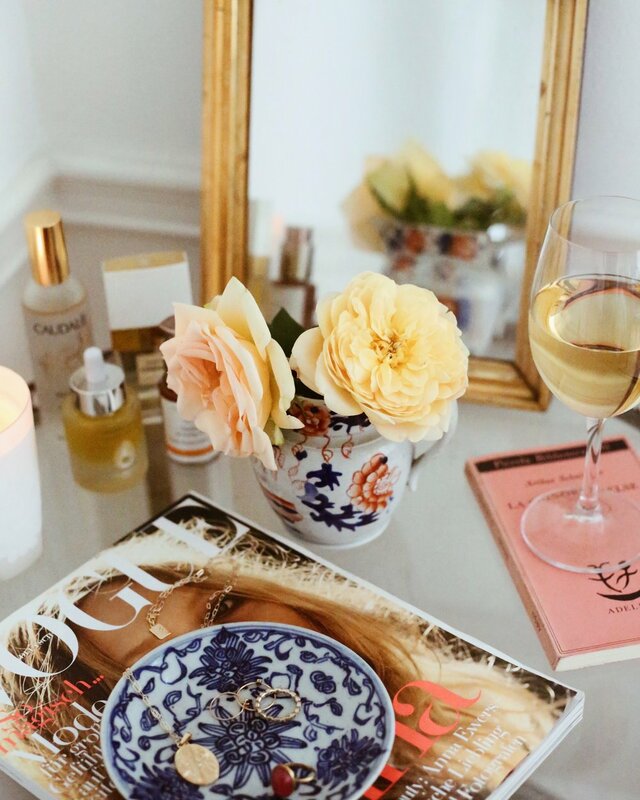 Currently on my Vanity Table. When you visit California, you must visit Gjelina. It is so consistently delicious that it is impossible to have a bad meal! Sit on the patio if you can and order this pizza and a glass of wine! Visit Travis Lett's other genius sister spots Gjusta for delicious more casual food and MTN for amazing ramen and asian influenced bites. Weekly roses from my favorite farmers' market stand. They smell heavenly! 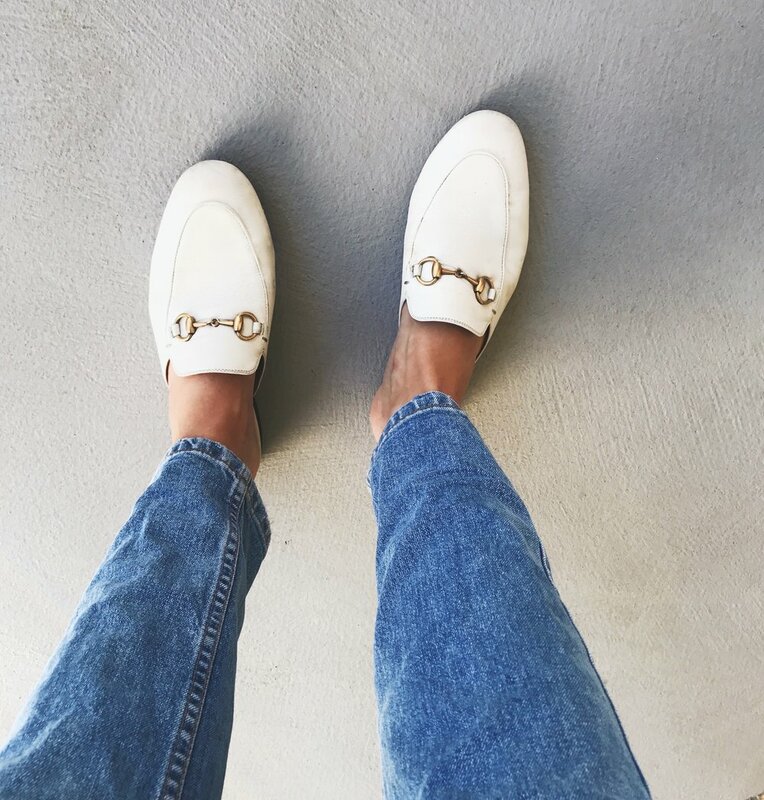 I wear these Gucci mules every single day. I love the white version for California where you can pair them with shorts or dresses, they are a must! Palm Springs is a great place for a quick weekend getaway 90 minutes outside of Los Angeles. I love the little corners at at the Parker Hotel, like these cafe tables and hidden bocce ball court.